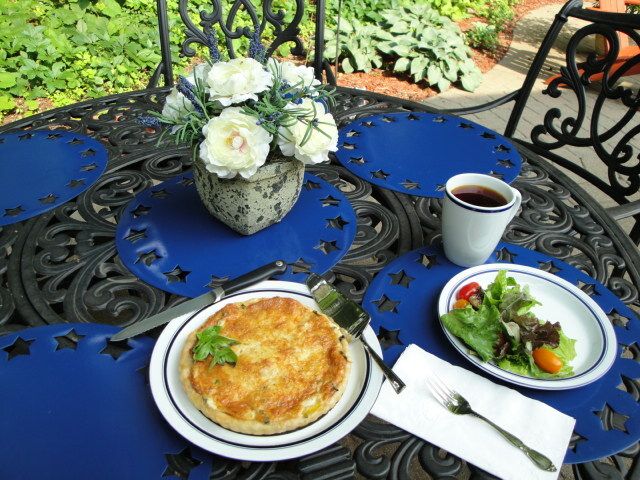 To celebrate one of the first days we’ve been able to sit on the patio for a while I decided to make a long time favorite Brunch/Appetizer-Tomato, Basil & Cheese Tart. It doesn’t exactly fit into the healthy category, but as long as the portions are small and it’s accompanied by a light green salad (I actually didn’t even put any dressing on my lettuce and tomatoes) it’s a fine way to celebrate a beautiful Sunday in July. 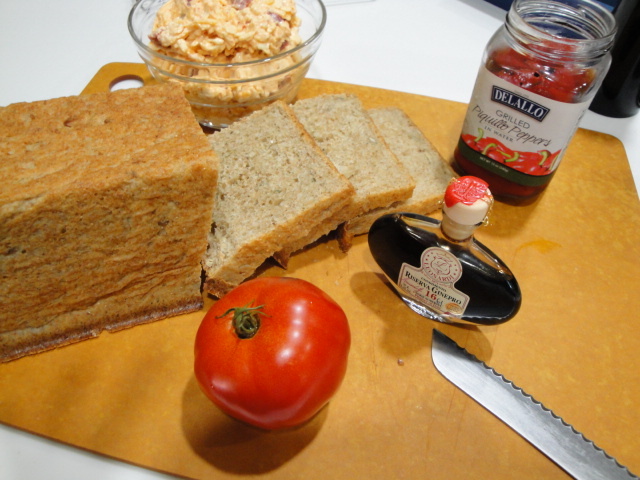 The recipe comes from one of my friends in the neighborhood and has been served at many a party by both of us. 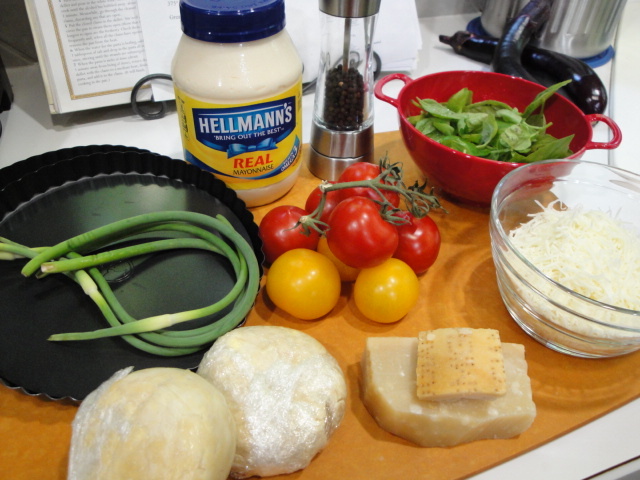 In fact, until writing this post it was always referred to as Colleen’s “Quiche”. 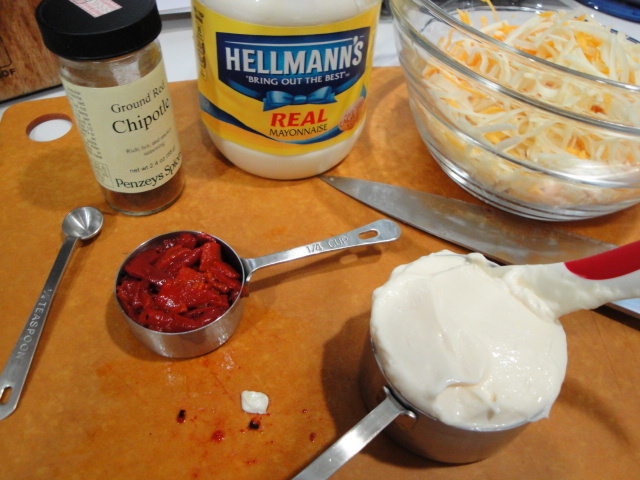 How it ever got that name I don’t recall, as the only eggs that make an appearance in it come via the mayonnaise that binds the cheeses in the filling. 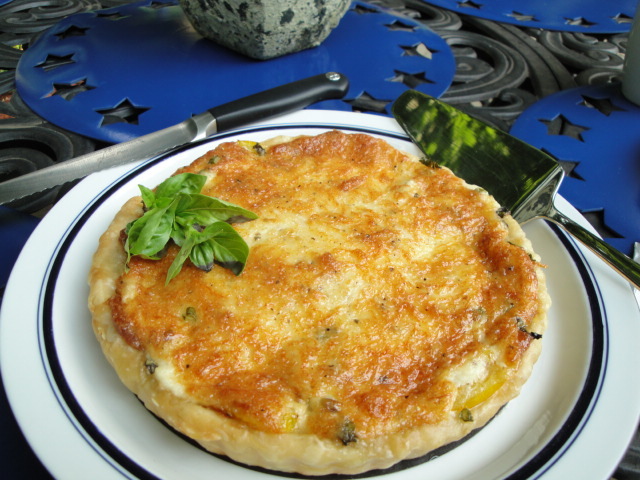 It does have a bit of a quiche-like appearance however with its lovely golden brown crust and top of melted cheese, so perhaps it can be considered a distant cousin of that other fabulous brunch dish. 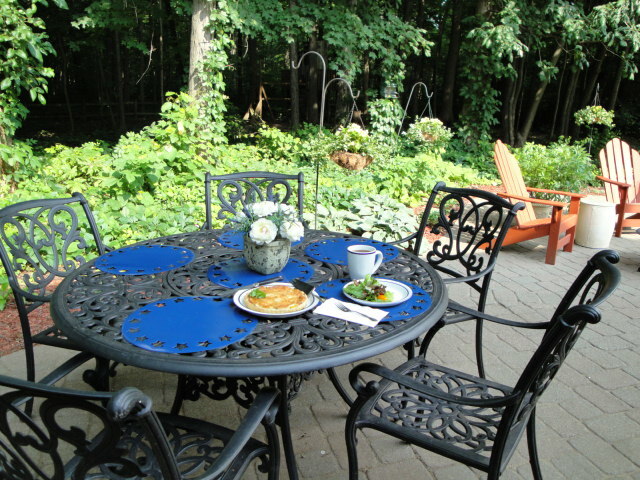 In any case it’s definitely worth giving a try when the garden is filled with basil and the tomatoes are bursting with flavor. 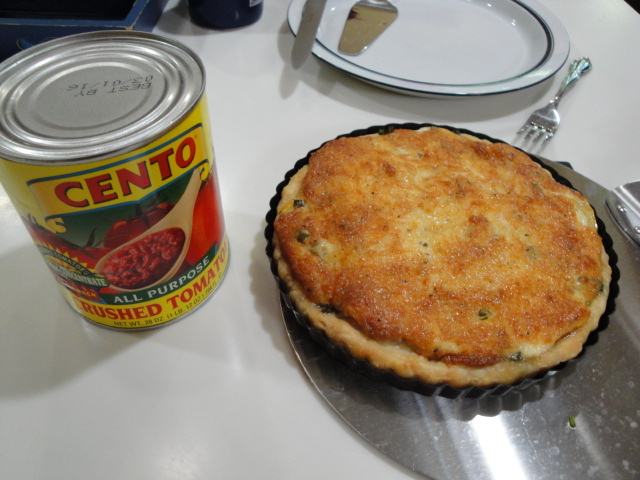 I’m thinking that I may even revisit it later this summer and turn it into a BBT & C (Basil,Bacon,Tomato & Cheese) tart. 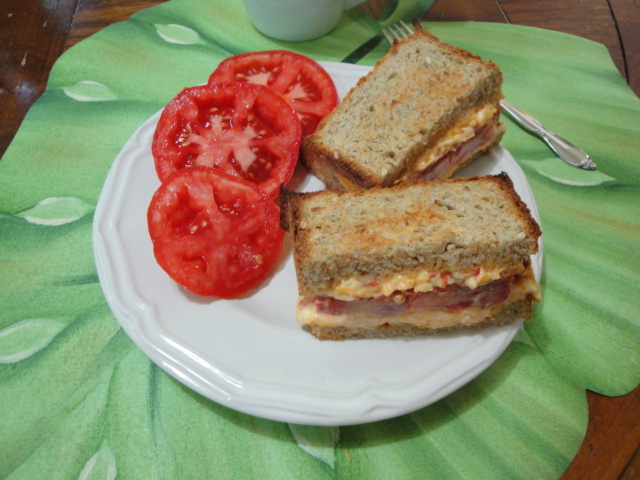 Because as I was enjoying it for brunch this morning it occurred to me that the only thing that could make it even more tasty would be a bit of crispy bacon in the mix. All things in moderation of course, so I’ll wait a while before indulging in that! The first thing you may notice are some things on the left, that from afar resemble curled green onions with no white end. They are garlic scapes, that today I’m substituting for the garlic in the recipe. They are one of the harbingers of spring at the local farmer’s markets and they have an amazingly long shelf life if you store them in a plastic bag in the refrigerator. If you ever see them be sure to give them a try. I almost always have an extra disk of pastry dough in the freezer, so won’t be making any today. 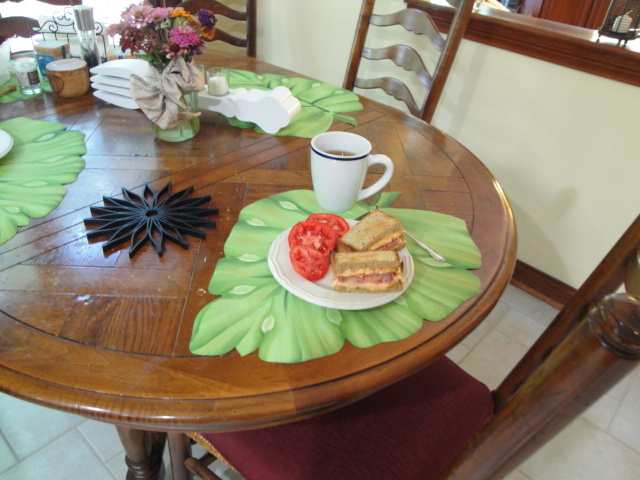 If you are in a rush I suppose you could use one of the pre-made kind, but homemade is so much better and it’s really easy once you get the hang of it. The dough I currently have is a 1/2 of a recipe for a single crust pie, left over from some classes I teach, so I’m down sizing the tart today and using an 8 inch tart pan instead of the 9 to 10 inch that the recipe is written for. 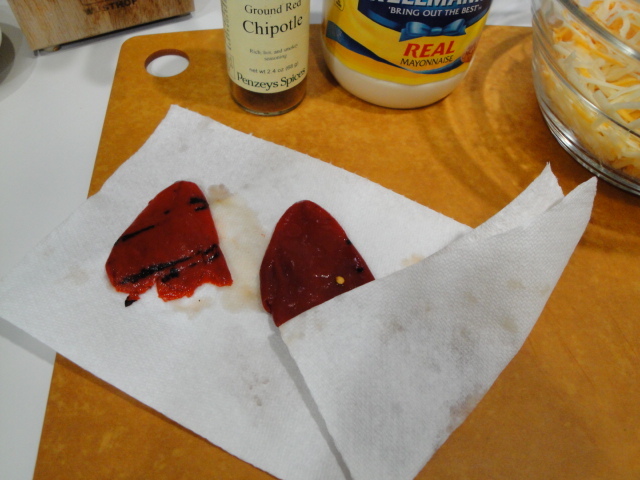 I like to use this size when I’m making this as an appetizer because it gives nice little small slices and I’m a big believer in small quantities of things that taste great! 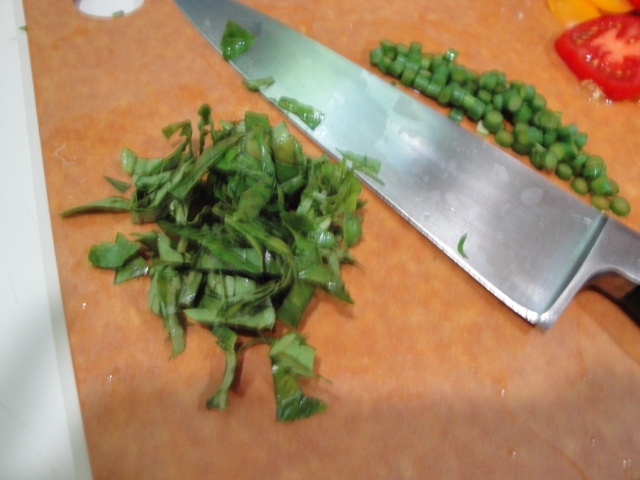 In any case it’s an easy recipe to adjust as exact quantities of ingredients aren’t critical to success. 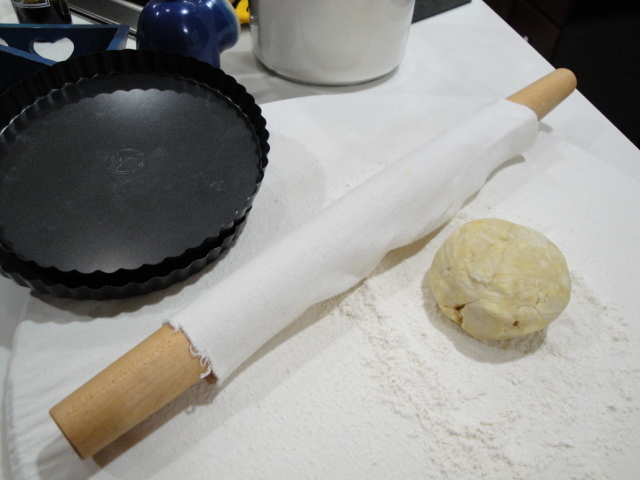 Roll the crust to approximately 1/8 inch thick and 2 inches in diameter larger than the tart pan or pie plate. 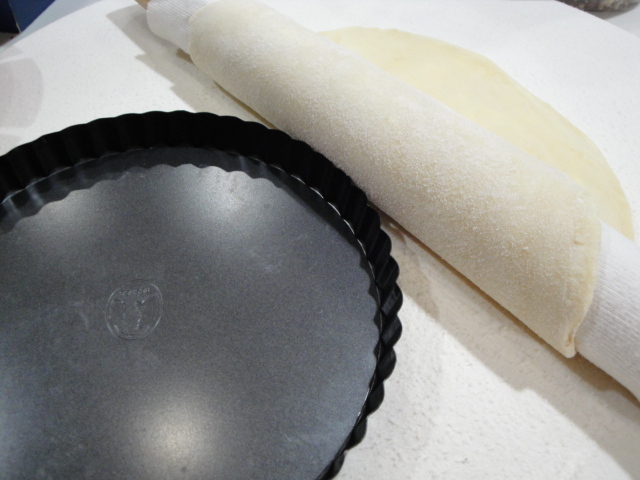 Roll the dough over the rolling-pin and transfer to the center of the tart pan. 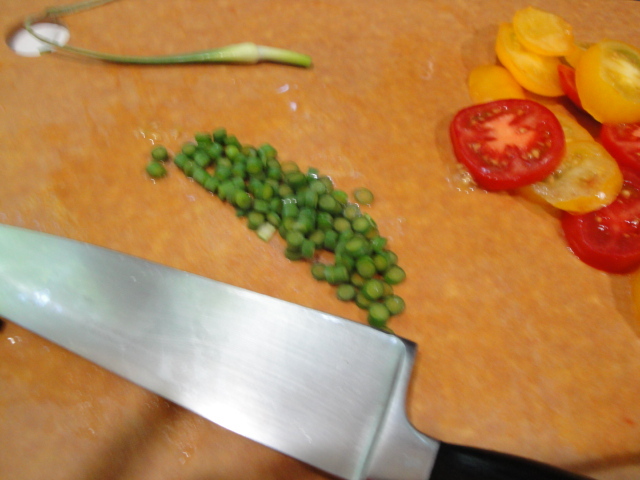 Once it’s in place, gently roll the excess crust to the inside of the pan and press into the ridges. Be careful not to pull or stretch the dough. 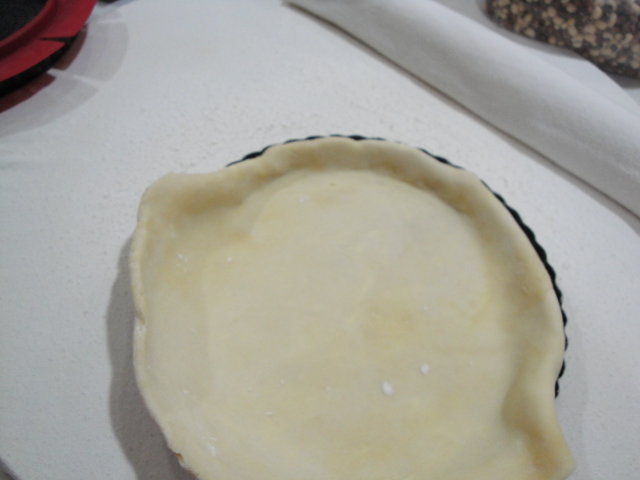 With the dough in place, line the crust with foil and fill with pie weights. I keep a bag of beans in my pantry for this. Just don’t ever try to cook them after they’ve been serving as pie weights as they will never be anything but bean rocks. Bake the crust with the pie weights in a 450° F oven for 8 to 10 minutes. 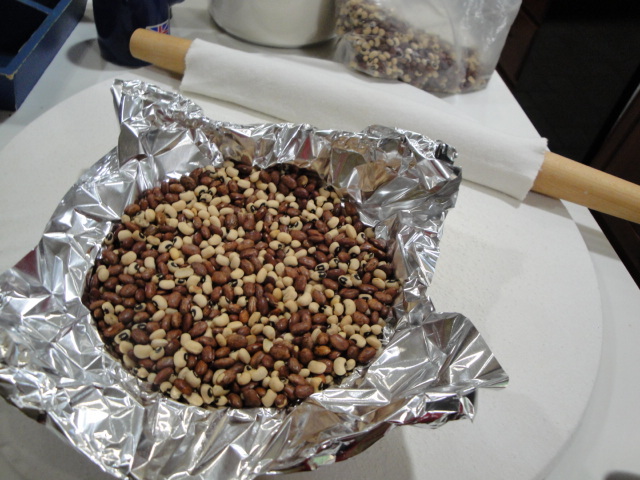 Remove the foil and beans and dock (prick) the entire surface of the crust with a fork. 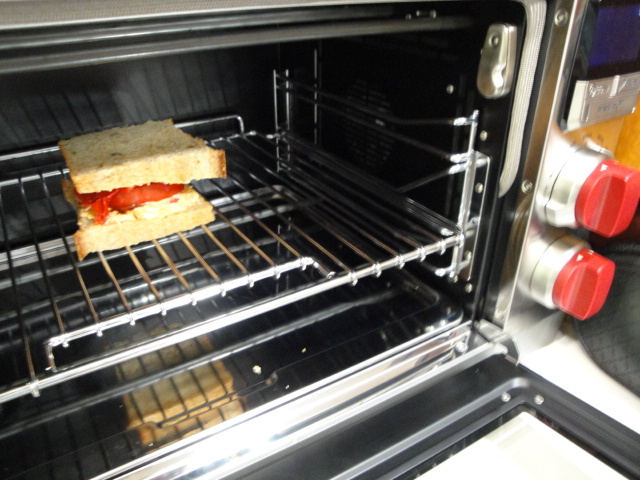 Return the crust to the oven and bake for another 2 to 4 minutes or until it is lightly browned. If the crust puffs up, gently press down with the fork to release the steam. This is called blind baking the crust. It helps keep the crust from becoming soggy during the final baking. 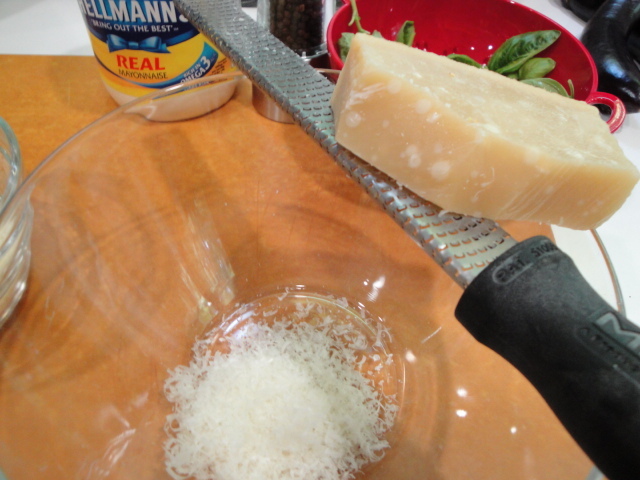 Set the crust aside to cool and reduce the oven temperature to 375°F. Now you’re ready to prep the filling. 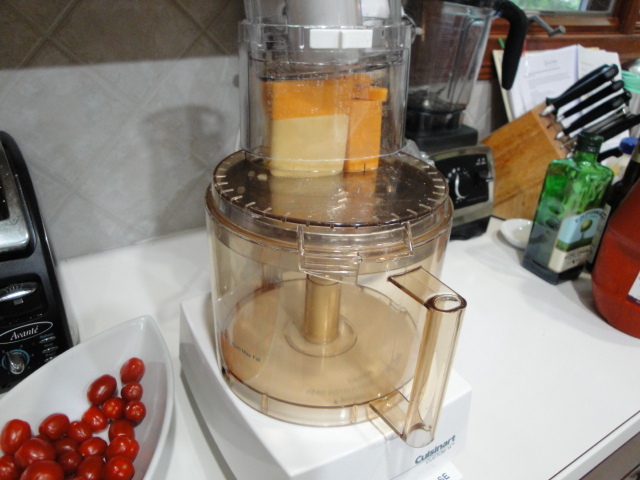 Grate the parmesan, shred the mozzarella, thinly slice the tomatoes (if you want you can put them on a paper towel to soak out some of the extra juice), mince the garlic scapes or garlic and chiffonade the basil. 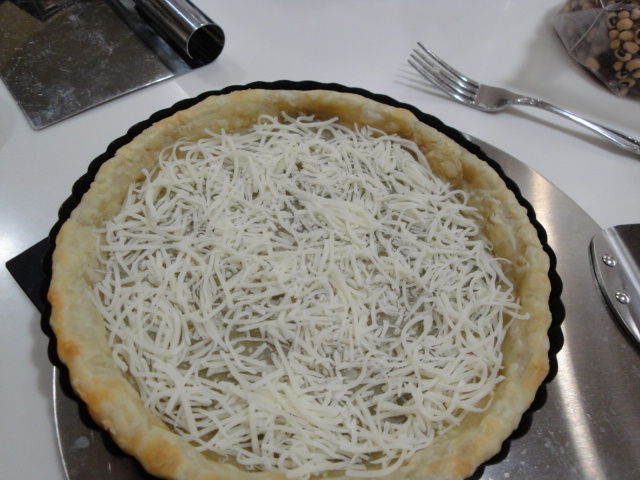 Sprinkle the bottom of the cooled crust with approximately 1/3 of the mozzarella (1/2 cup if you’re making an 9 or 10 inch tart). 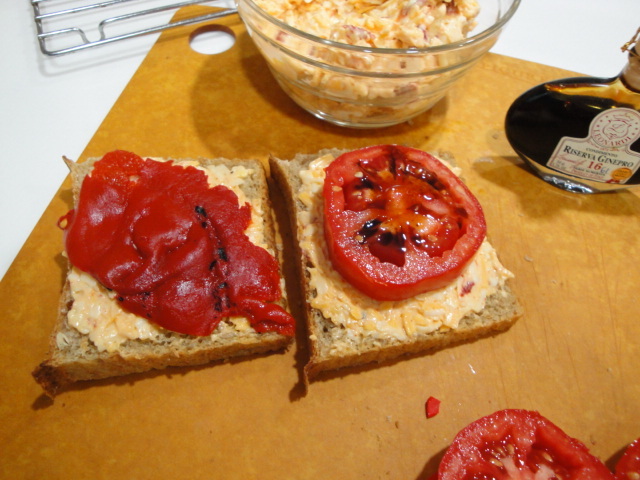 Top with tomato slices, basil and minced garlic or garlic scapes. 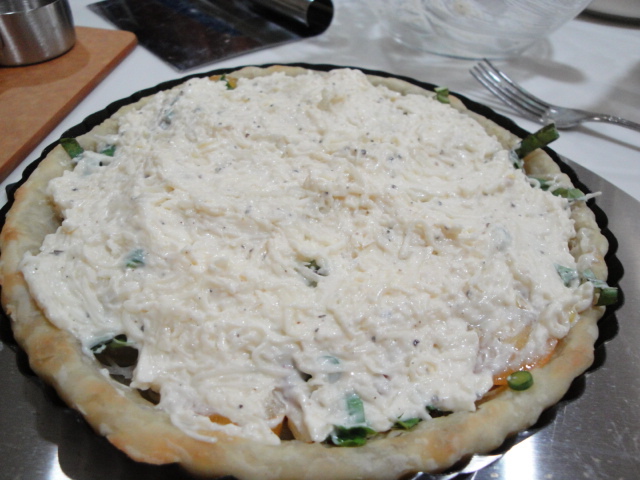 Mix the remaining shredded mozzarella, grated parmesan cheese, the mayonnaise and some freshly ground black pepper and spread over the top of the tart. Don’t worry if the mixture is thick and won’t spread evenly, it will melt and spread as it bakes. Bake for 30 to 40 minutes or until golden brown. 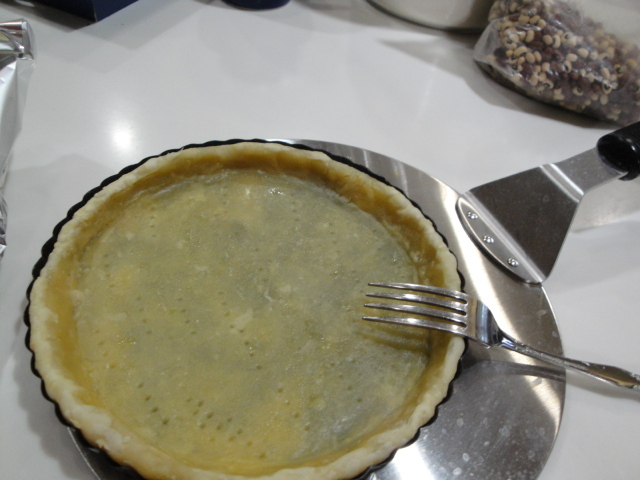 You will want to place it on a baking sheet or place foil on the rack under the tart to catch any butter that drips from the tart pan as it bakes. 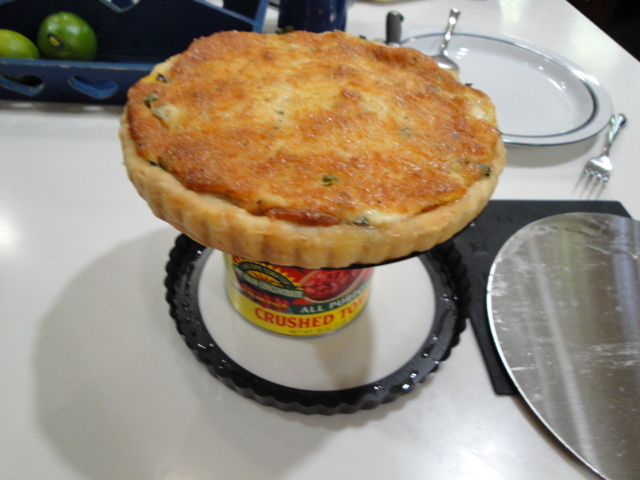 My favorite trick for removing the rim of the tart pan is to set it over a can and let it gently fall to counter. Garnish it with a bit more fresh basil and you have a lovely hors d’oeuvre for a summer party or a great brunch dish that only needs a bit of fresh salad. 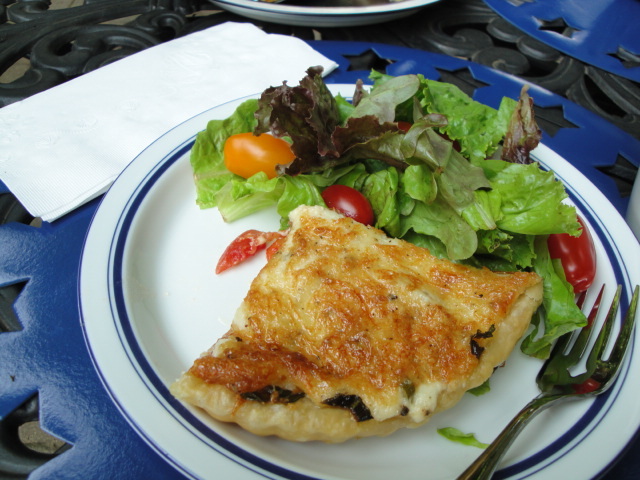 The tart was so rich and tasty I didn’t even add any dressing to my salad. But in hindsight a splash of balsamic would have been lovely. 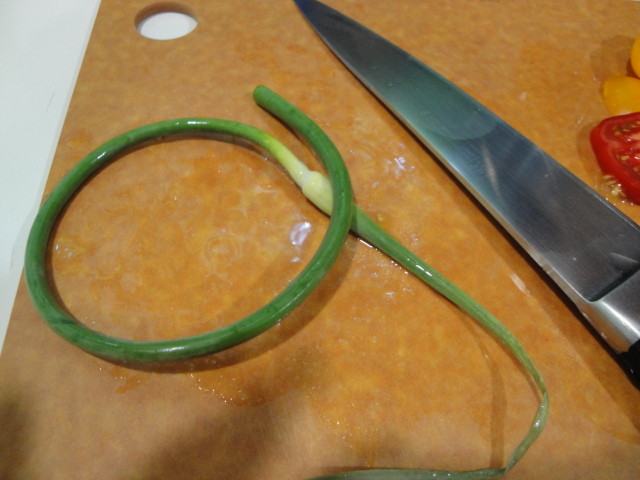 2 to 4 cloves garlic minced or two garlic scapes thinly sliced. 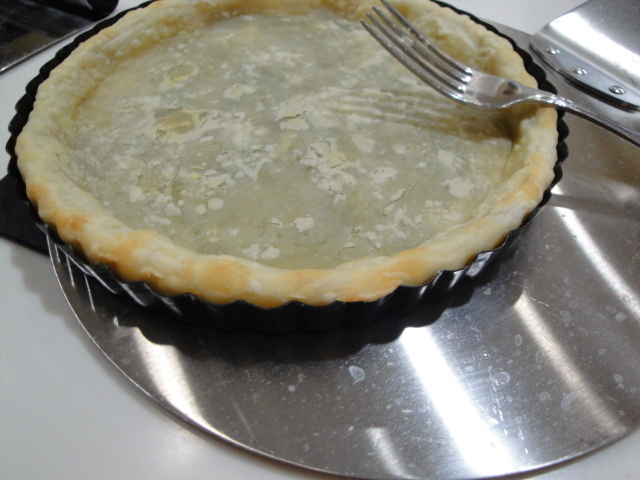 Place unbaked crust in a 9 or 10 inch pie plate or tart pan with removable bottom. 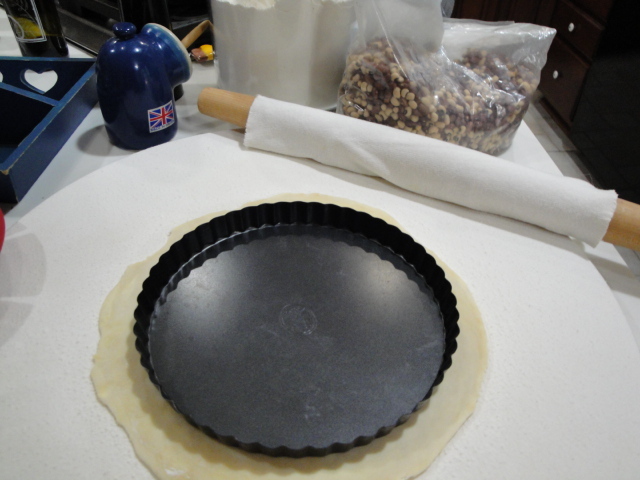 Turn the overhang under and flute or press into the sides of the tart pan. Line with foil and fill with pie weights. Bake for 8 minutes. Remove foil and pie weights, dock the entire crust with fork pricks and bake an additional 2 or so minutes more, until lightly browned. I the crust has puffed, gently press down with a fork or spoon. Set aside to cool. 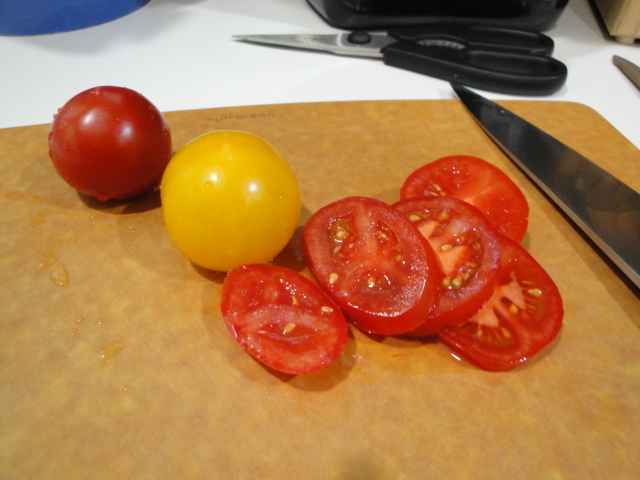 Cut the tomatoes into thin slices, wedges or halves depending on the type you are using. 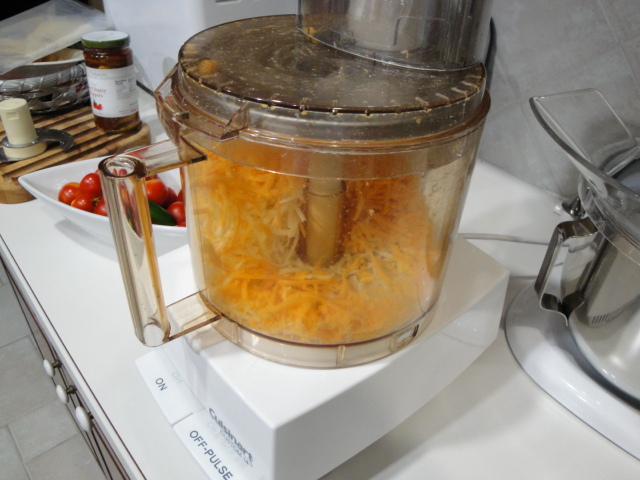 You can drain on paper towels if you like but I love the flavor of the juice, so I sacrifice a bit of crispy texture for bigger flavor. 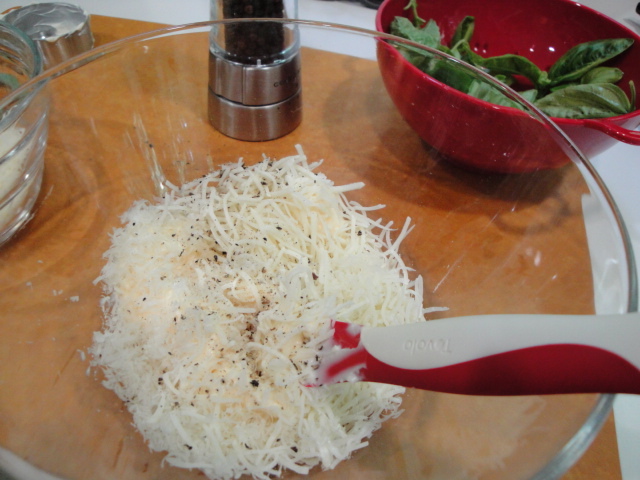 Sprinkle the bottom of the cooled crust with ½ cup of the mozzarella. 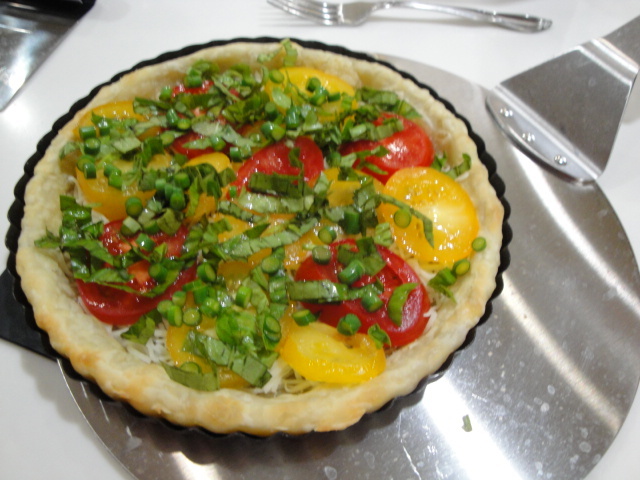 Top with tomatoes, garlic and basil ribbons. 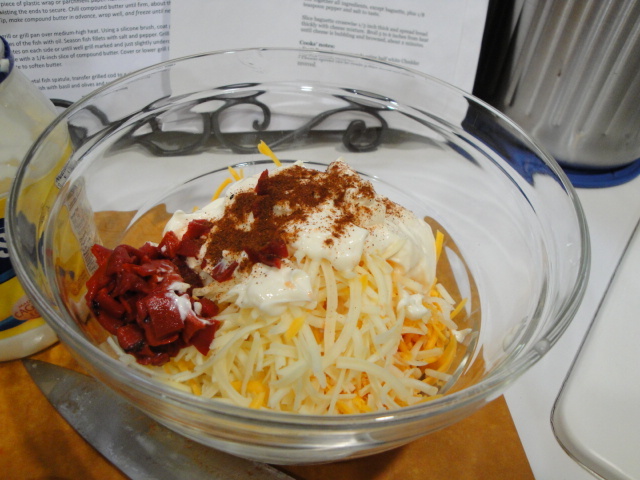 Mix the mayonnaise, remaining 1 cup of mozzarella, shredded parmesan cheese and black pepper. 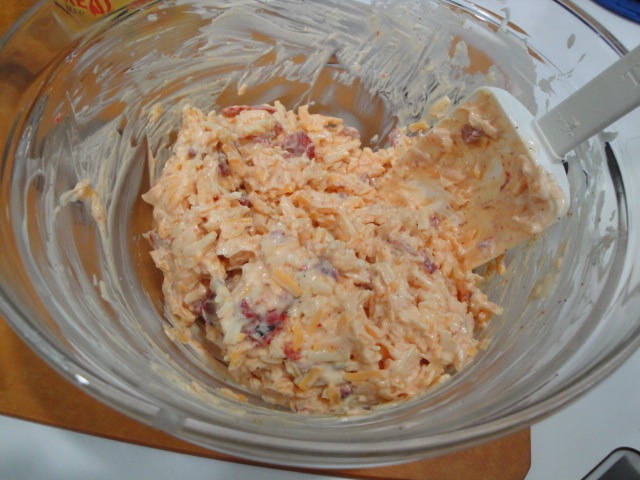 Spread this mixture over the top of the tomatoes. 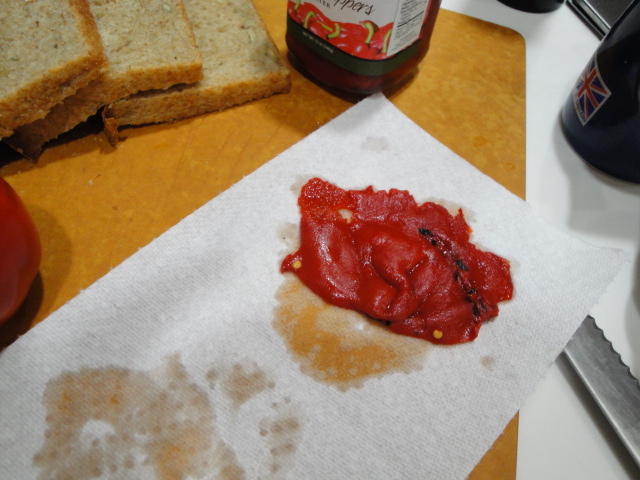 Don’t worry if it’s a bit thick and won’t spread smoothly or evenly. 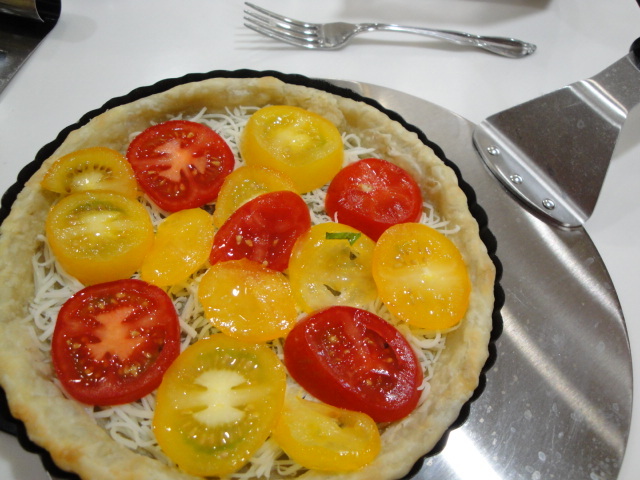 As the cheese melts it will spread over the tart. Bake for 30 to 40 minutes or until golden brown on top. 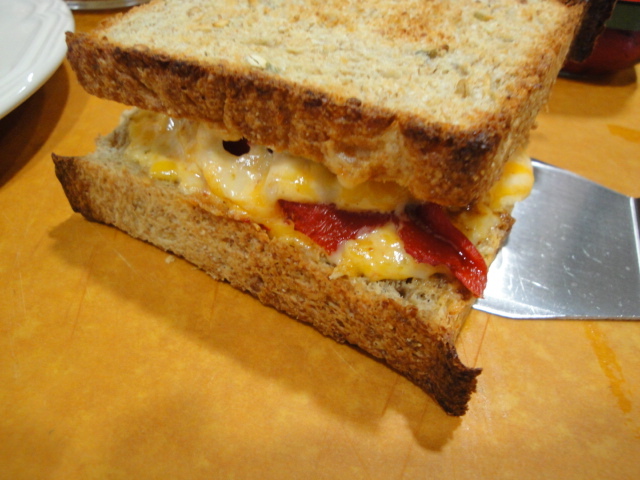 Cool slightly and serve warm or at room temperature.